As many of you know, I’ve been producing a documentary film about international choreographer Kenneth Von Heidecke for the past few years, who also happens to call Naperville his home as well as the location of the Von Heidecke School of Ballet. 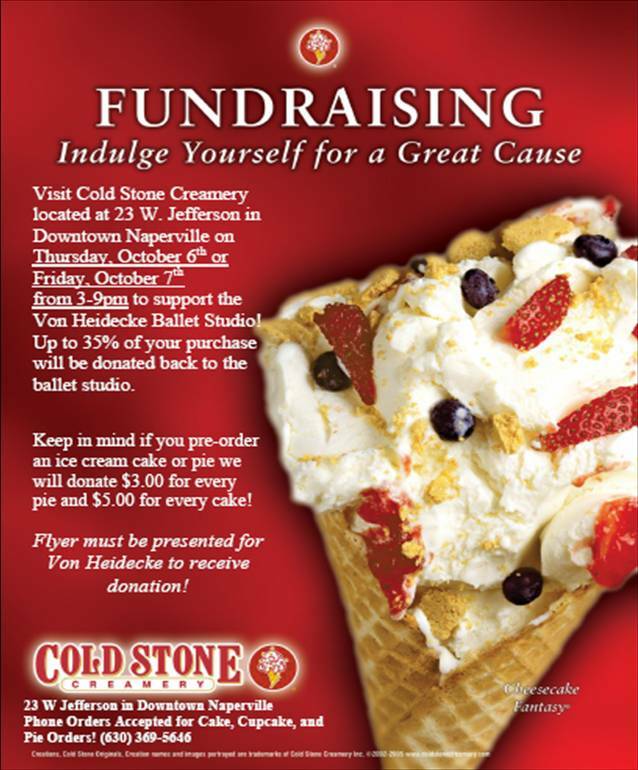 The Von Heidecke School of Ballet is hosting a fundraiser on Thursday, October 6th and Friday, October 7th, 3:00 PM – 9:00 PM, at Cold Stone Creamery in Downtown Naperville. On these dates, 35% of your purchase will be donated back to the School. Hope you will considering offering your support to this most deserving local arts institution which sacrifices much to make professional ballet instruction of this caliber accessible to the entire Chicagoland region. We are truly fortunate to have both Ken and the Von Heidecke School of Ballet in our community.